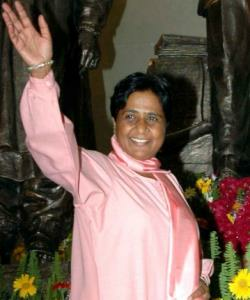 Till recent past, it was very difficult to have audience with Behen ji even very senior party leaders used to have very minimum interaction, but now, sources say, she has understood the necessity to interact not only with the party leaders, but also with the commoners, party workers along with the coordinators and leaders of all group. It is a very clear shift from the past. She started believing in representing commoners. Her change in style and having an attitude like "open door for all" will certainly help her to connect and it will be interesting to see how BJP will counter.